Time for a third practice board check-in! My practice board is where I track my skill progress. One half-hour of practice gets me one tally so if I watercolor for an hour, I get two tallies. 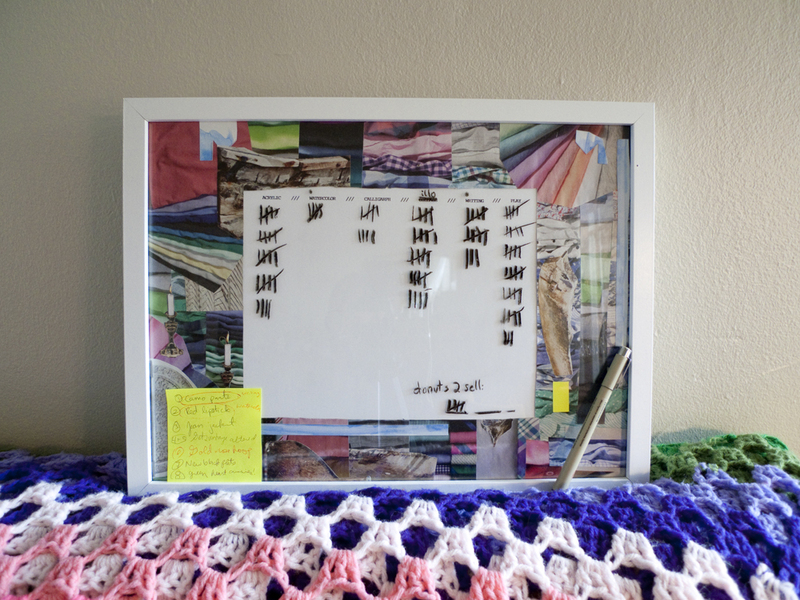 Once I reach 40 tallies (aka 20 hours), I give myself something off my curated prize list. Then I make a dot above the skill title, wipe that section clean and begin again. I’ve practiced a total of 98.5 hours since the start. HOO-RAY. That’s 53.5 additional hours since last month for an average of 1.4 hours a day. Not too shabby, but I’d still love to see more more more. The 98.5 HOURS worth of practice includes acrylic painting, watercolor, calligraphy, illustration, writing, and play. Writing wins, which is ironic since I share that with you all the least. I write every morning, steady like clockwork. Turns out that the non-practice side of things is not only tedious, but it’s also not practice. If I had a business hat tally of hours, well that might be alarmingly high. But hey, as we know from the past two What I Read This Weeks, at least I’m not spending my time staring at the computer and reading other people’s words. One other new thing—I tried using the practice board to motivate on a short term goal. I wanted to get a dozen donuts ready to go into my Etsy shop. It worked, sorta. There’s too much back work behind each donut for me to have felt like it was moving steadily. Womp. Lesson learned. The practice board is still a good, useful, motivating tool for me. It works. When it came time to wipe clean two areas post-reward (camo pants and kickass red lipstick for watercolor and writing) I worried that it’d be demoralizing to see such big blanks. But the other skill progress compensated while these two areas grow back. This really highlight how this works for me, the swing of things. It’s an ebb and flow, not unlike a tide. Maybe it’s the pull of my creative moon, and the gravity of planets, stars, and the universe on where I settle my attention and focus. Posted in Personal Essay and tagged practice board.